You save money when qualified contractors compete for your business. After you complete the short form, our partner Networx will provide you free quotes from licensed, pre-screened, and qualified HVAC companies in your area. 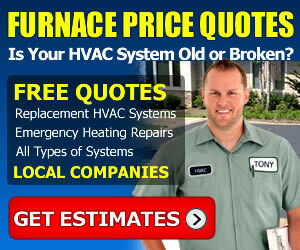 In most cases, you will receive 3-5 free competitive offers in less than 5 minutes, helping you save the most money and make the best choices for your replacement furnace or complete hvac system. We may be compensated by Networx if a match is found in your area.